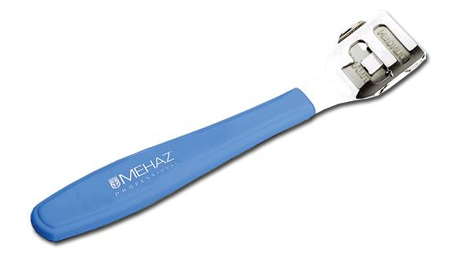 High quality planer features a chorme blade clip and a blue plastic handle designed to remove corns and calluses. Includes one blade. Made in Solingen, Germany for superior professional performance. Replacement blades sold separately (10-count package).